Interests: Star Wars | Anime | Graphic Arts | Sword Fighting | Karate | Music | Singing | Movies | Chatting on the Phone with Friends! I'm here! I haven't gone anywhere. I just don't know, where to take contact with you guys. Senatu Forum is quite dead. Thanks for understanding. And indeed, it's good to see people becoming more active whatever the reason might be. I think this also indicates people still care about TJA and would be interested if there actually were some kind of a comeback. This comment was edited by Dash Starlight on Mar 04 2014 12:13pm. I'm afraid I need to also poor some cold water over people's burning enthusiasm, here. All I've done so far was talk to a friend over Xfire privately about how nice it would be if TJA was brought back and how it could possibly be done. It was just some 'what-if' thinking. I never intended to actually carry out anything nor did I want it to be spread over the internet as a definate plan. It's like thinking about what I would do if I won a million dollars in a lottery. I am currently retired and see no viable way for me to bring back TJA. If anything changes that, I'll be sure to let you guys know, but right now I'm focussing on being a DJ for MBU Radio. This comment was edited by Dash Starlight on Mar 02 2014 10:30pm. Indeed. The rumor is rather new to me, to be honest. Do you know what Ravs heard, exactly? Hey cloud Nothing much, I'm simply enjoy splitting my time between TJA and MBU these days. How are things on your end, man? Sazen, so we meet again for the first time for the last time! Anytime is good, but would be best anytime tomorrow evening or the weekend when I have less to focus on. I'll probably log onto Xfire sometime tomorrow and then we can just message eachother whenever and do it. Are you likely to be around today? Edit: Added you to msn. This comment was edited by Kainz00r on Apr 30 2012 07:06pm. 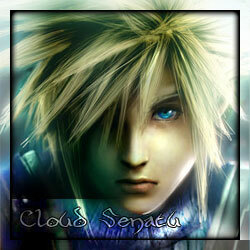 Thanks Cloud, they were indeed good duels although I do regret being as rusty as I am! All the more reason for me to start getting on the servers again though I suppose, obviously TOR takes up a lot of my gaming time but I'll do my best to fit it in. I certainly missed it. It would seem that circumstance has obligated me to deliver swift ruin upon yourself - let me know a convenient time for yourself where we can conclude this business. I'm about pretty much all of this weekend, and 1800+ during weekdays. Good duels Cloud, well deserved. Best of luck in the rest of the tourney! Oh and this is comment 6000 for what that's worth. As you seem to be Draco's accorded emissary, I would be grateful if you could kindly inform Draco that I wish to render his physical form beaten and broken to make it quiet again, and to begin tournament ascension. I'm free from 18:00 GMT in the weekday evenings, and I'm also around this weekend if the sacrifice is to take place then. So, when is best for you Cloud? Time wise I am flexible, but I can't really do Thursday so tomorrow or Weds would be best. If you know anyone who may be available to demo/referee that would be great, otherwise I'll ask around once we set a date. Good luck! Although I suspect you will not need it. Merry Christmas! <3 Have a pleasant day! To be honest mate I think it was a quest reward, but I don't remember too well. I've long since left it behind! Hi Cloud, yes I do. Been here most of my life.